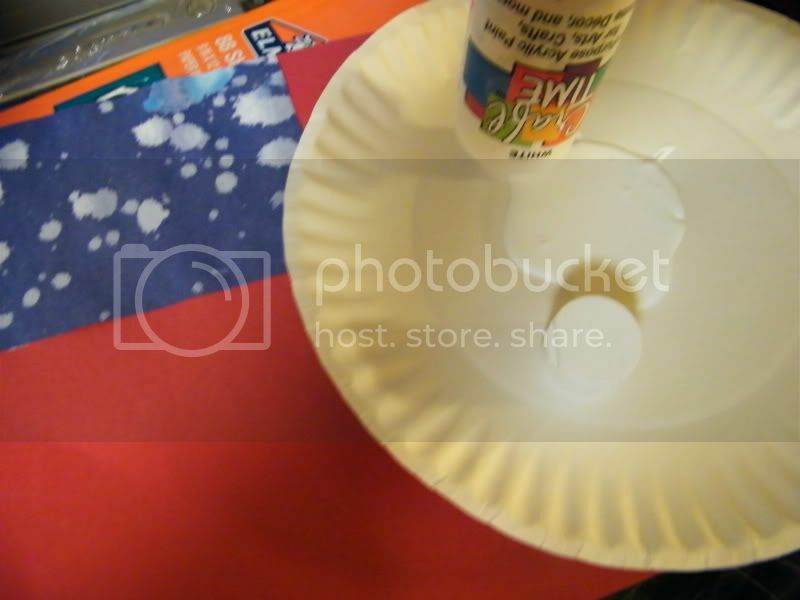 We celebrated the holiday by making some crafts, cupcakes and playing "glow in the dark" hide and seek. 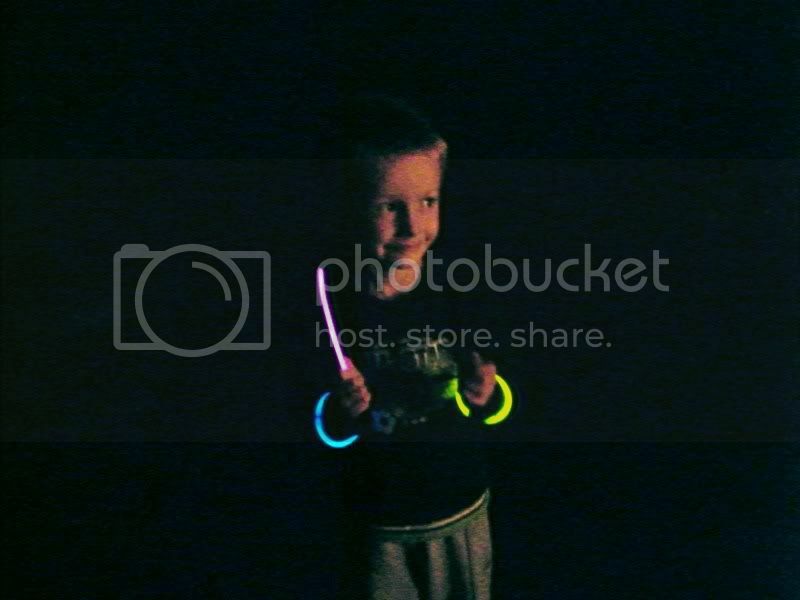 The kids had the most fun playing in the dark with the glow sticks, Anthony even played along. They were out there for two plus hours. 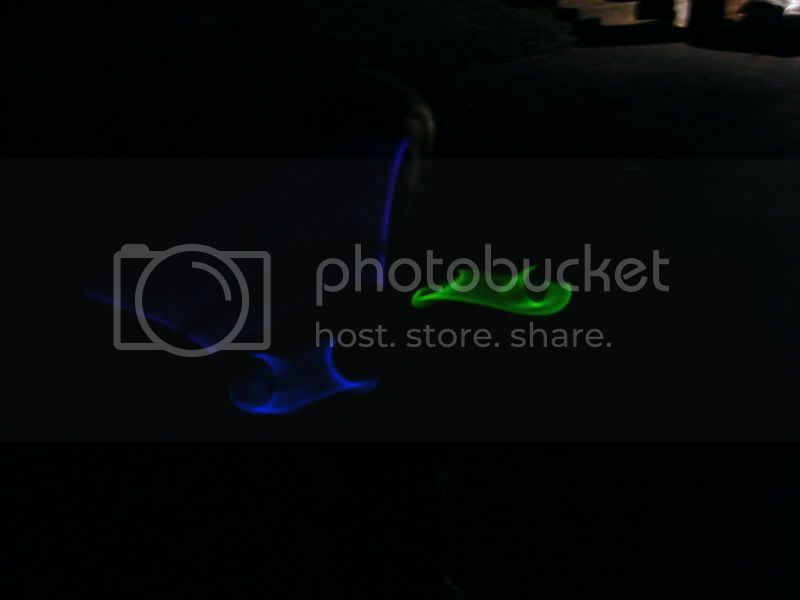 Note to self: Buy more glow sticks! 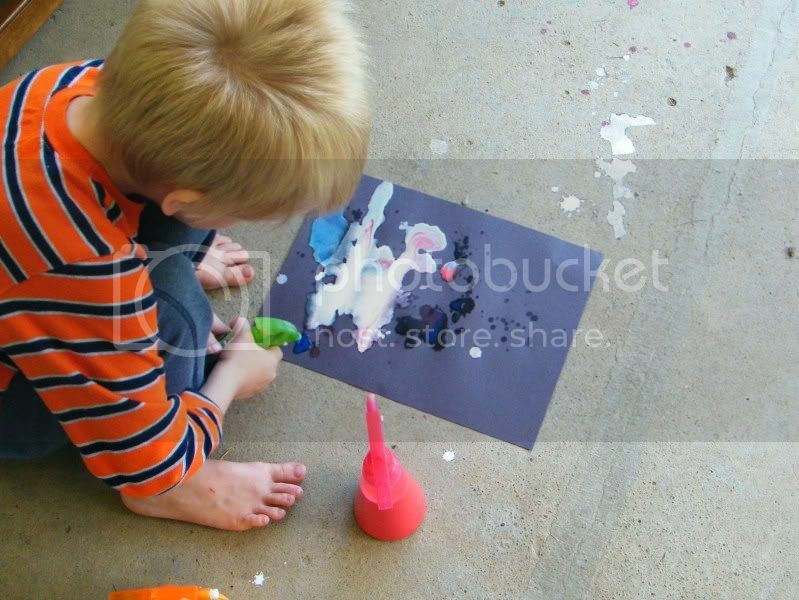 We made several crafts this weekend. 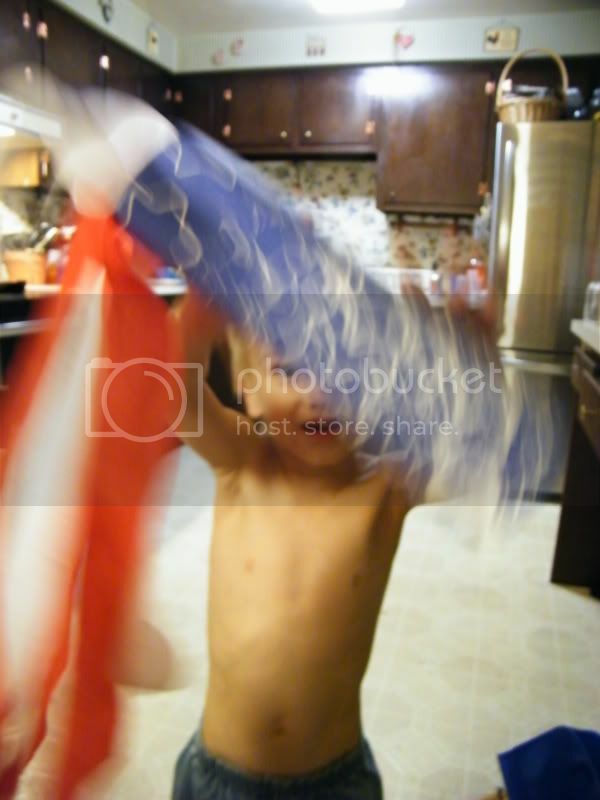 I seriously can't decide which one was my favorite - the handprint flag or the windsock. 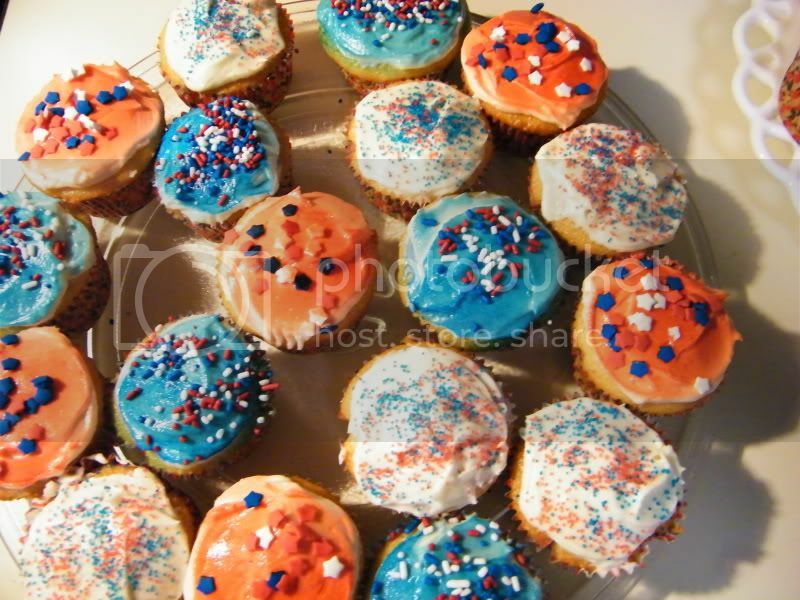 Both turned out really cute. 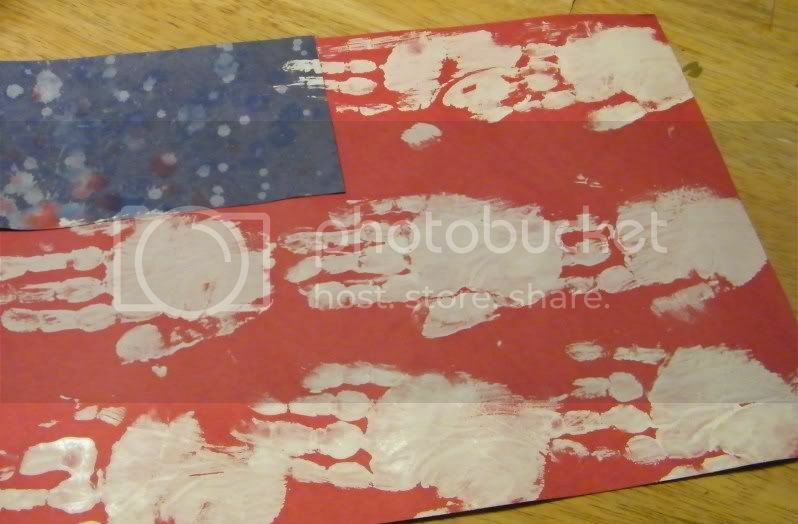 For the Handprint Flag, we used red construction paper, white paint, a blue square and glue. 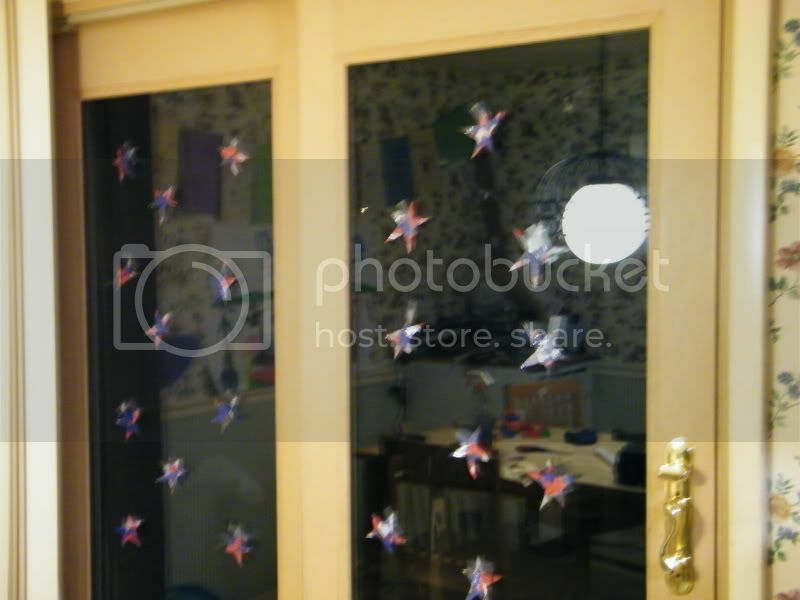 The blue square that we used came from another project that we made this weekend, splatter painted "fireworks" I cut a square of blue paper that the kids splatter painted to make the "stars" on the flag. 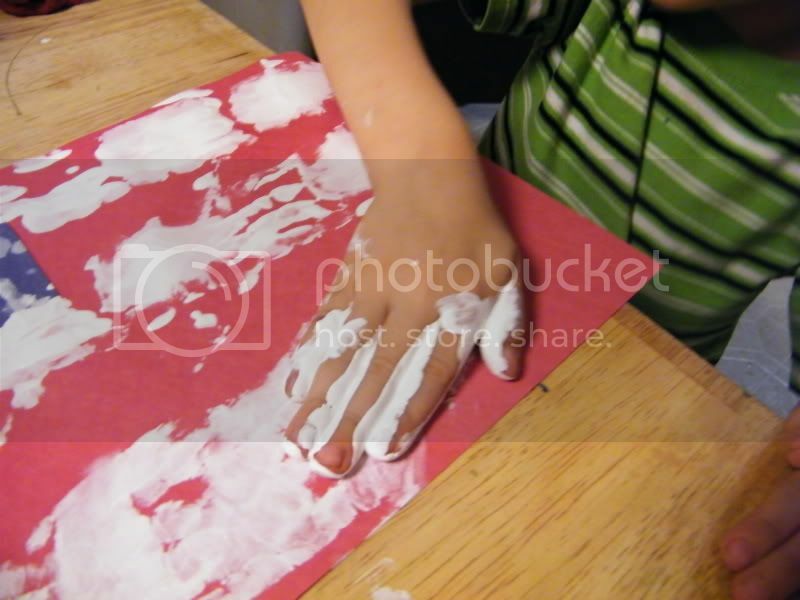 Then, I painted Nathan's hand white and had him use his handprint for the stripes on the red. I thought this made the perfect holiday decoration. This will definitely be going in the keepsake box. 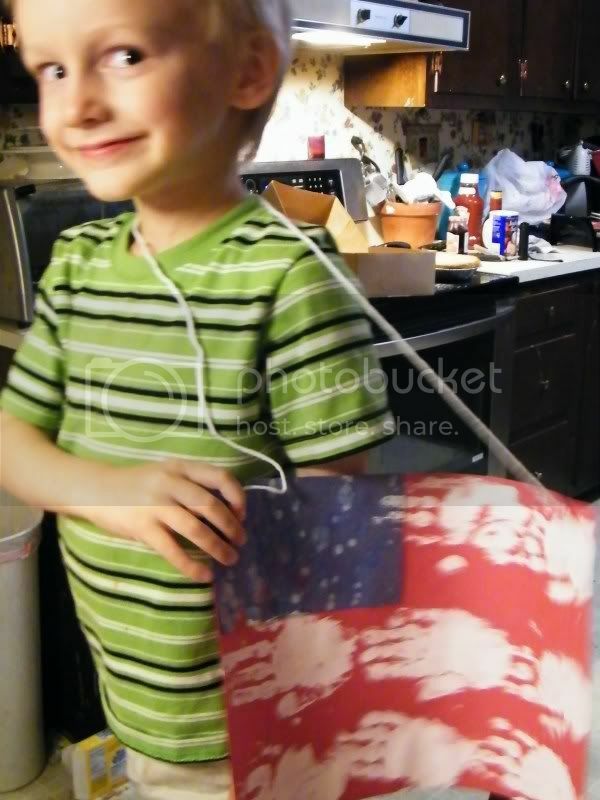 The next craft is the Patriotic Windsock. 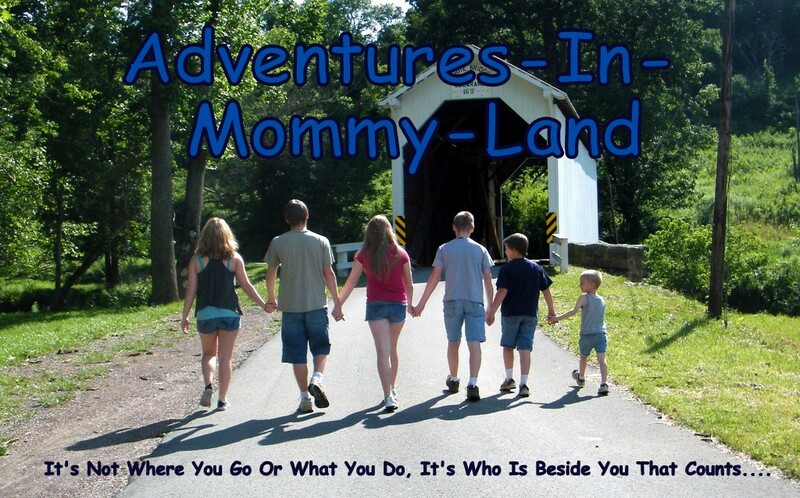 I saw this on another mom's blog, I think it was A Mommy's Adventures (?). 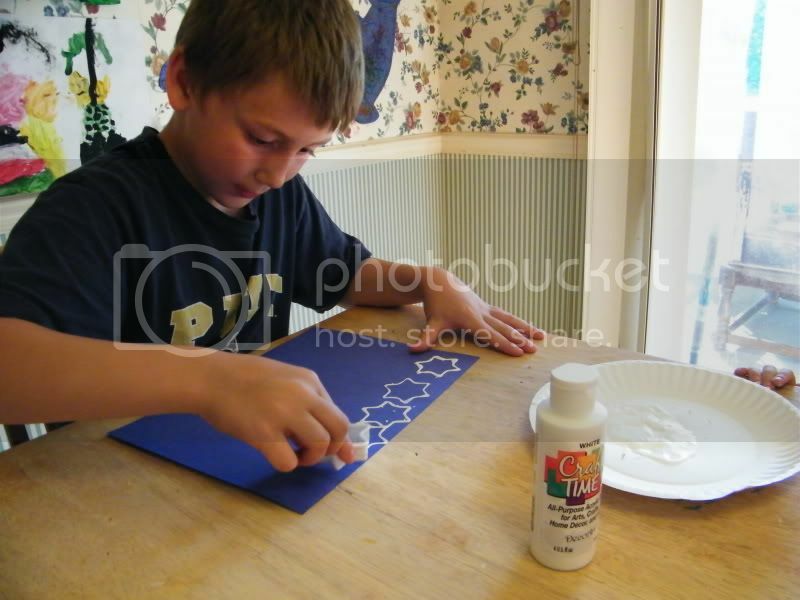 You will need blue construction paper, white paint, tape, red and white streamers, a star stamp or stencil, yarn and glue. 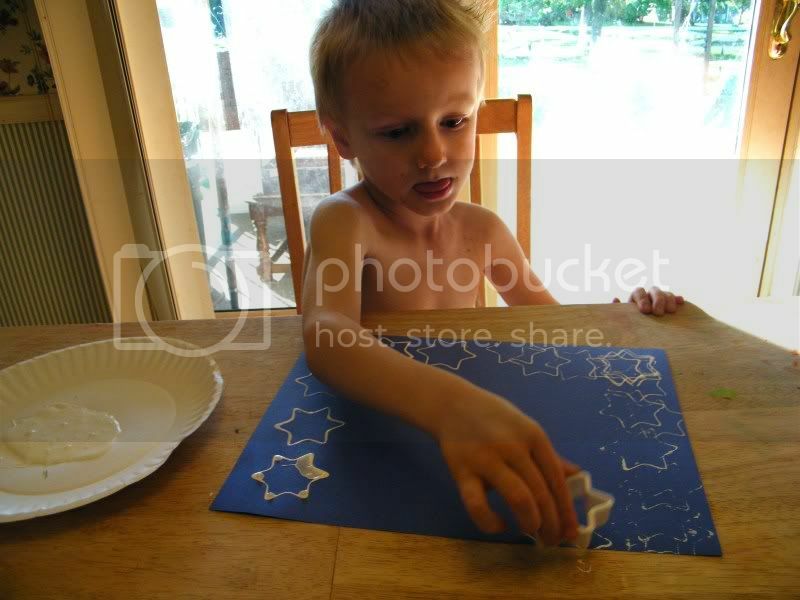 Using the star stamper or stencil (we actually used a star shaped cookie cutter), stamp stars on the blue paper. 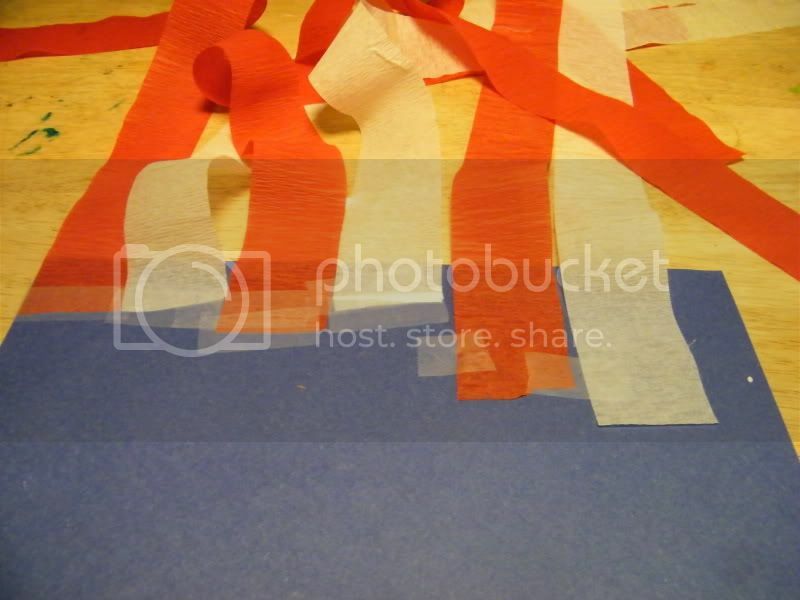 After the paint dries, tape the red and white streamers on the back of the blue paper. 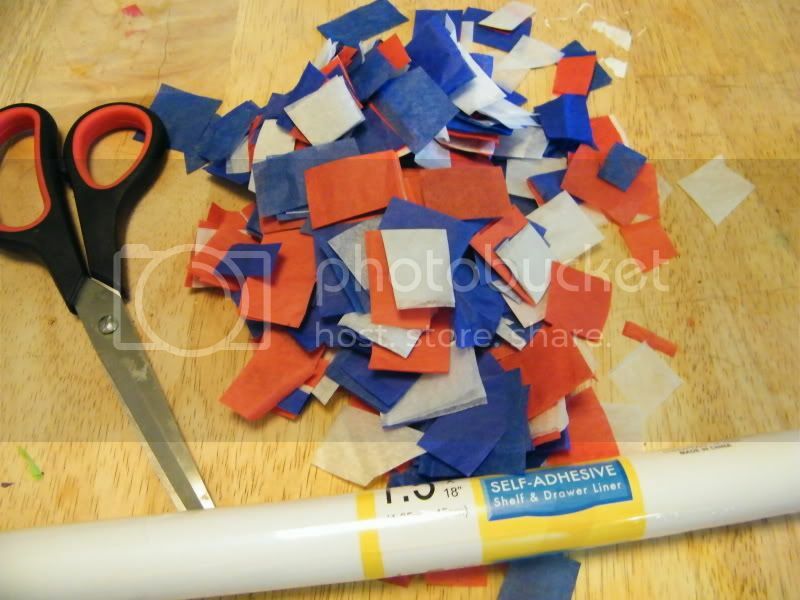 Then glue the edges of the blue paper together. Next punch two holes into the top of the windsock and thread some yarn through the holes to hang it up. 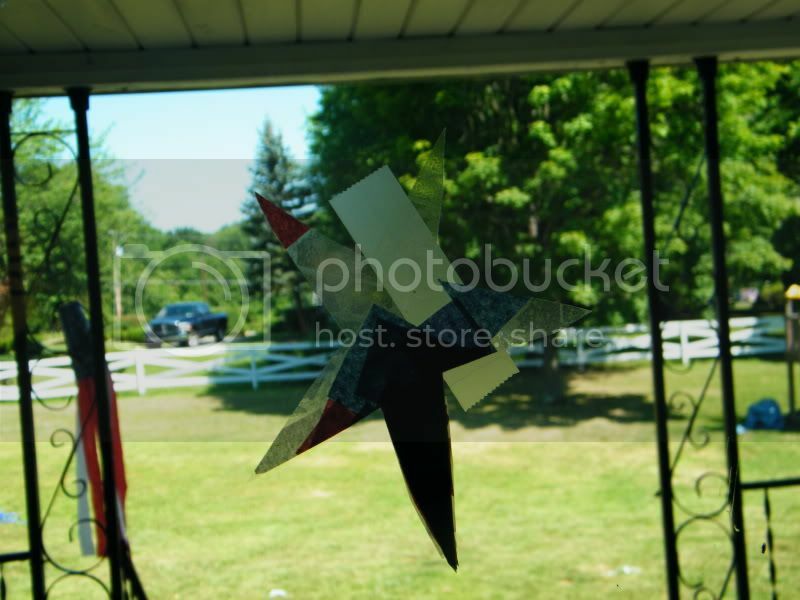 Another one of our crafts was Star Suncatchers. 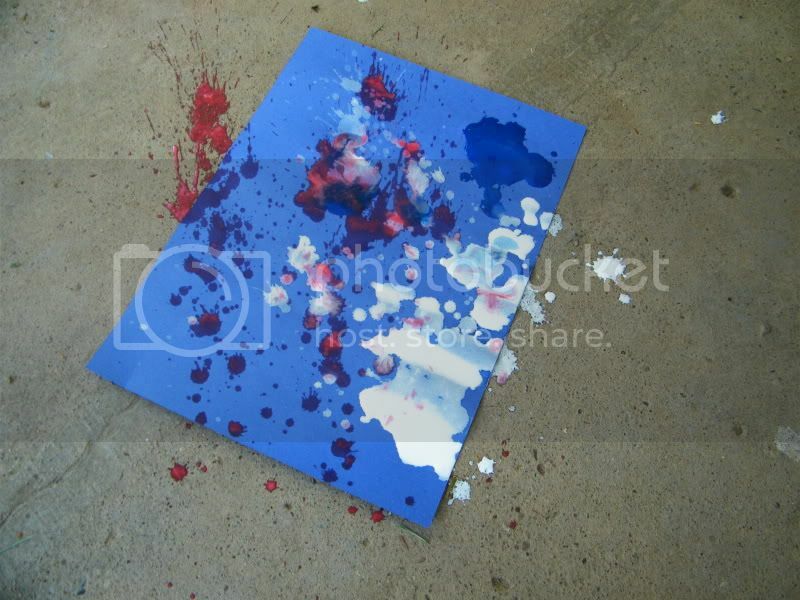 We used clear contact paper, red white and blue tissue paper, cut up into little squares. 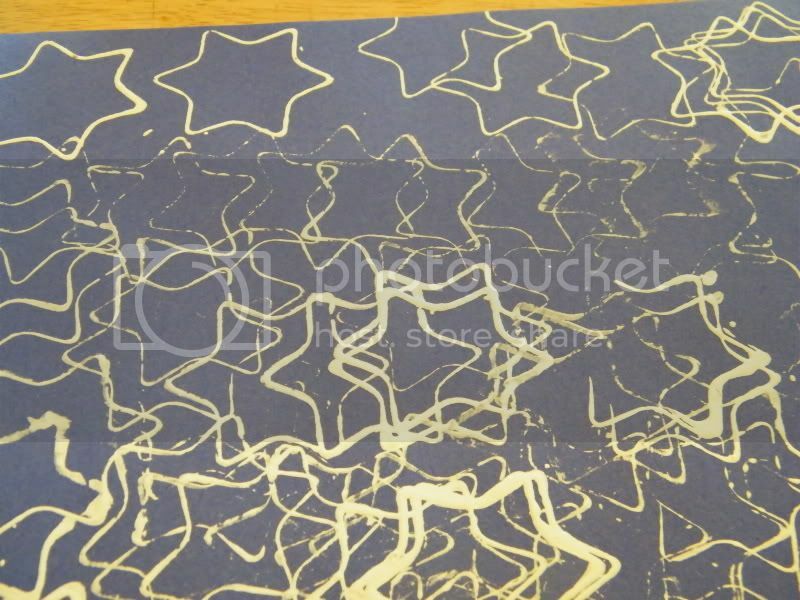 After we put the tissue paper on the sticky side of the contact paper, we sealed it together and cut them into star shapes. 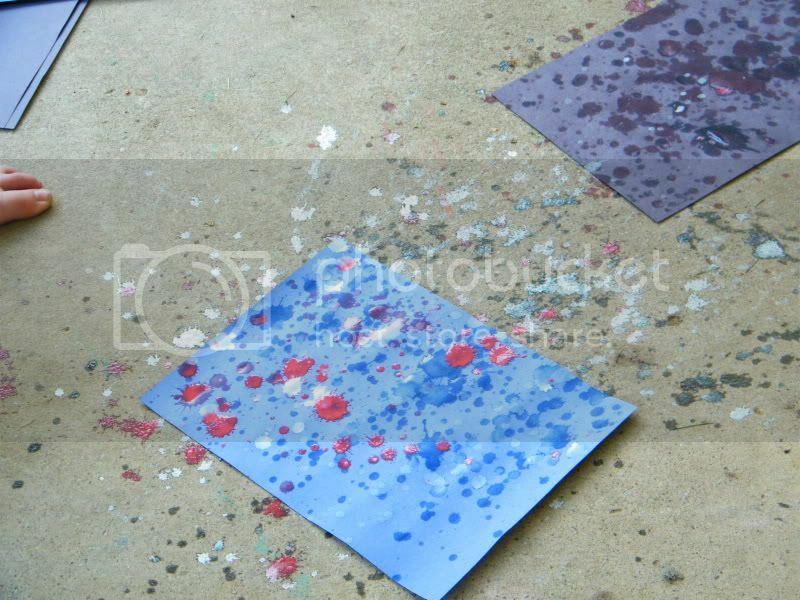 The last craft we did was Splatter Paint "Fireworks". 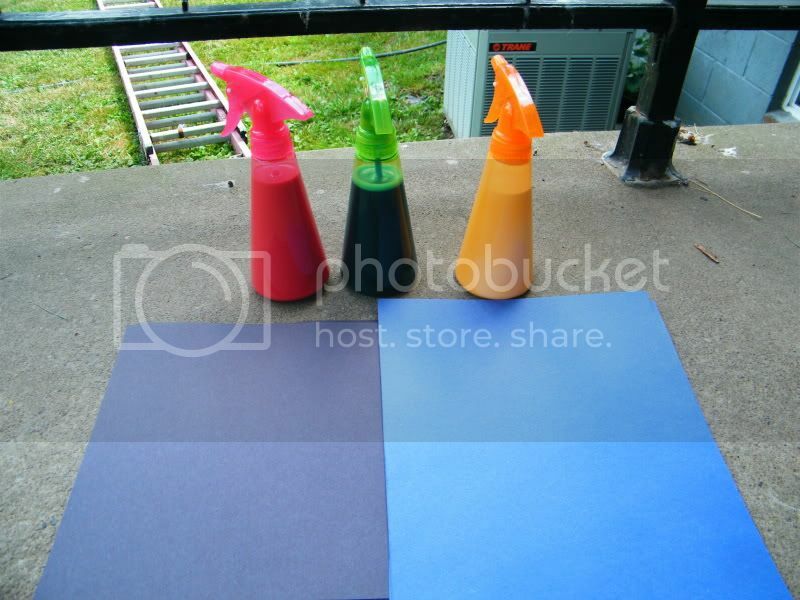 We used black and blue construction paper and watered down red, white and blue paint that I put in spray bottles. 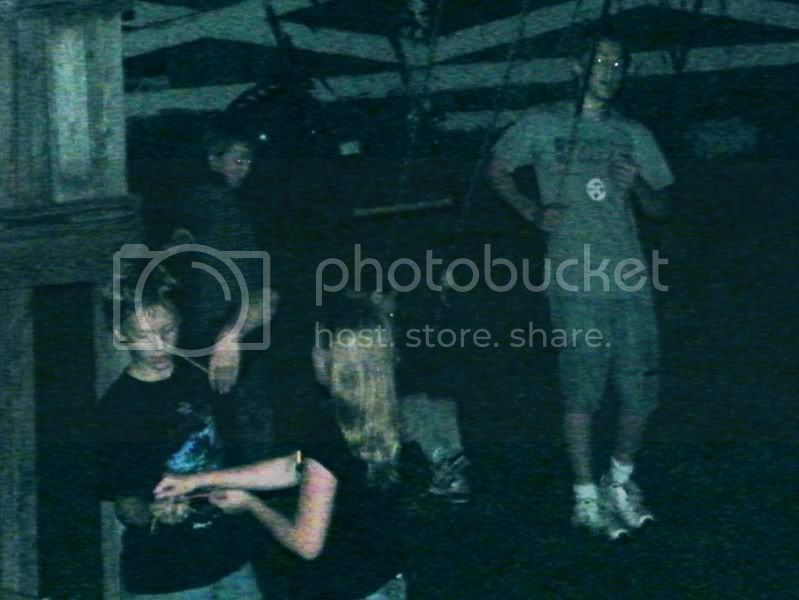 Sarah, Zach, Nick and Nathan all did this one. 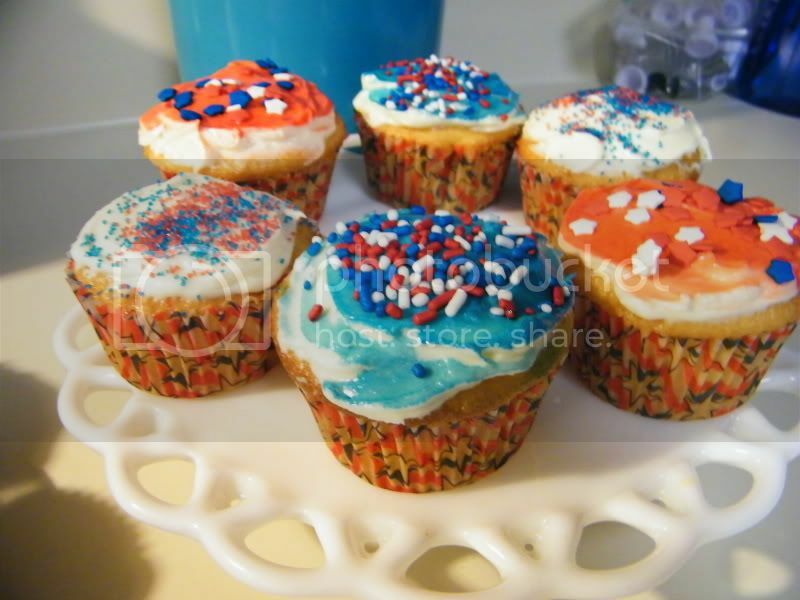 Amanda actually saw the results and decided to make a few too. She thought it was fun. And last, but not least, the much loved Glow in the Dark - Hide 'N Seek! 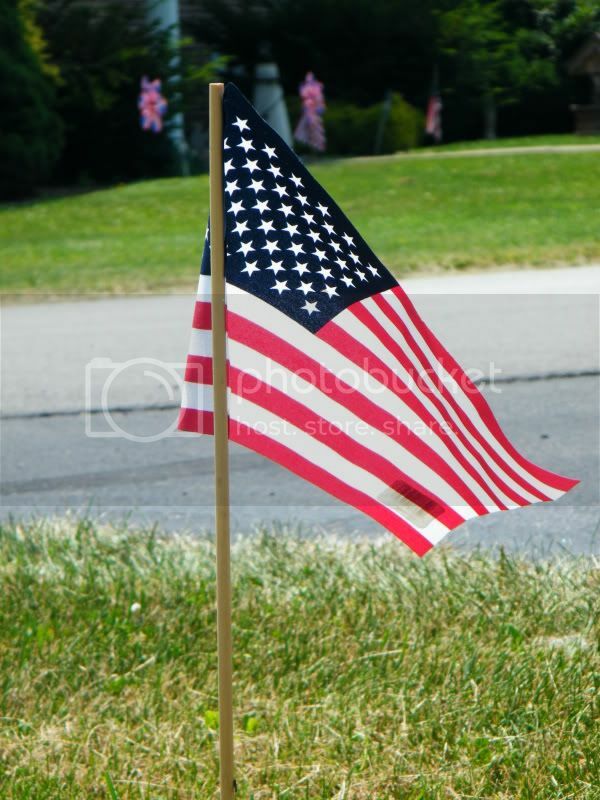 I hope everyone enjoyed their holiday weekend as much as we did!! Hello! I just dropped in from Follow me back Tuesday and I am also your newest follower! Please drop on by The Craft Cave and check it out. 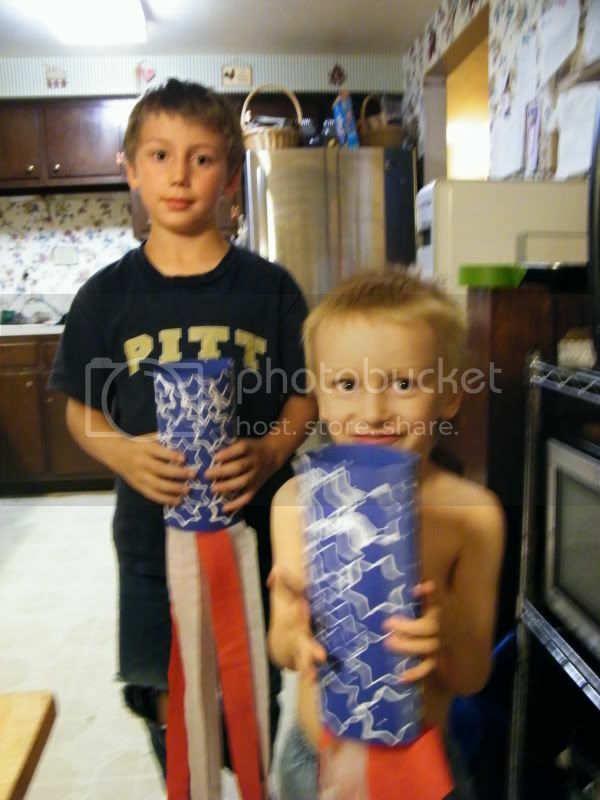 I love the wind socks! I will have to remember that for a craft next year. Following your blog from SITS.